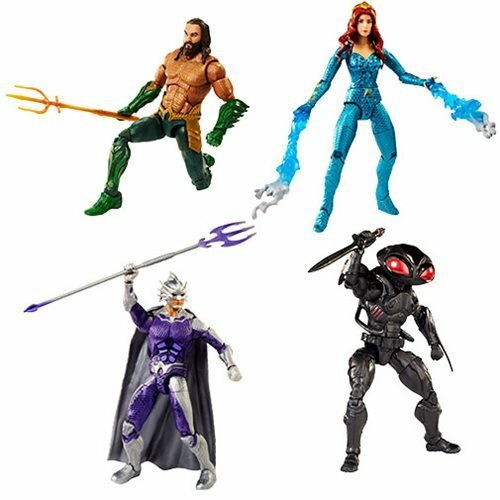 Action figures from 2018's Aquaman movie! Iconic details, 23 points of articulation, and detailed weapon accessories! Case contains 6 individually packaged action figures. 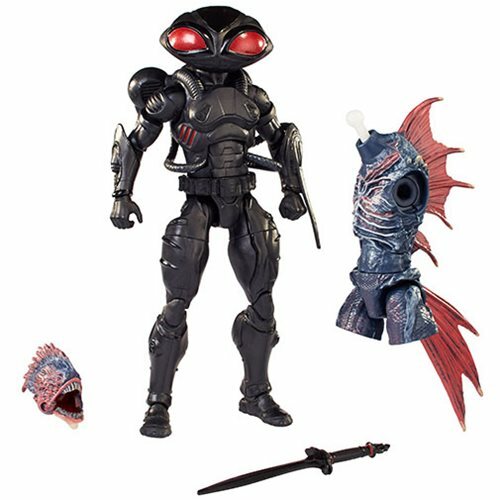 This bold, bright, kid-friendly and collector assortment is from 2018's Aquaman movie. 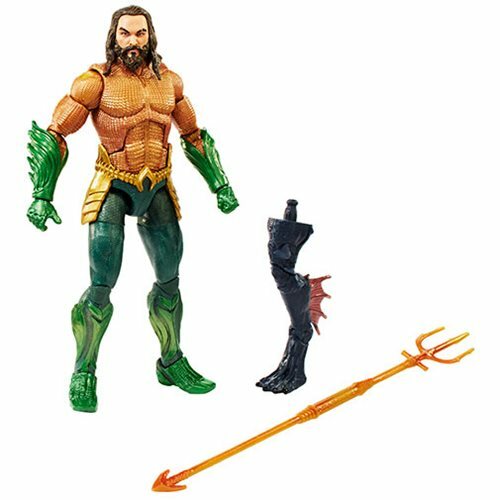 These Aquaman Movie Multiverse 6-Inch Action Figures are ready to strike with iconic details, 20 points of articulation, and a detailed weapon accessory for awesome action play and epic posing. 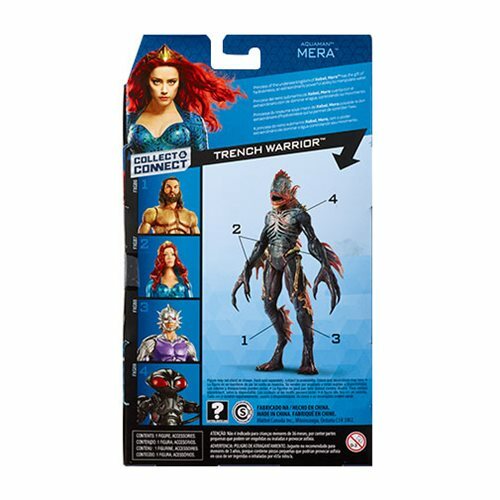 Each figure is individually packaged and includes a part that can be collected and used to assemble the Trench Creature! 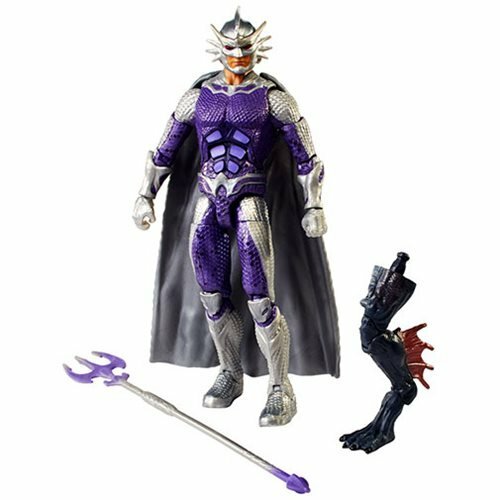 This Aquaman Movie Multiverse 6-Inch Action Figure Wave 1 Case contains 6 individually packaged action figures.